There is plenty of food and water and sunshine, and our friends are warm and comfortable. The bright eyes are intent, the eager body quivers. 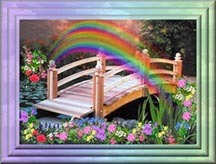 Then you pass over Rainbow Bridge together ......."
where all is peaceful and the breeze always whispers of lasting love. between our loved ones and ourselves." There are many wonderful, loving BridgeParents in the world, who know exactly what you are going through. When you talk about your angel, and shed the tears, it makes room for healing. (Grief shared is grief diminished.) Please join us. 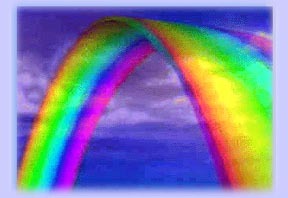 We love to learn more about the angels that are keeping our beloveds company, at the Rainbow Bridge. Please be sure to read the lovely story of the "Dragonflies"
and why we won't be seeing them ......... for a little while. 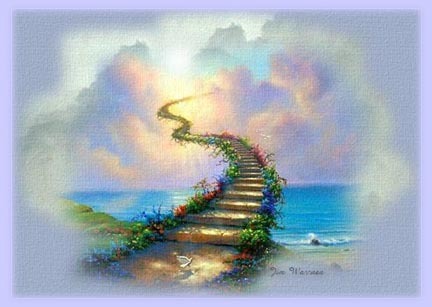 which has been lovingly dedicated to all our angels. Love and memories last forever. May they bring you peace.